Here at the United Drug Rehab Group, we have a wide variety of rehab programs, from family programs where we set up one-on-ones to aftercare programs where we keep in contact with you after treatment, but because addiction is a spectrum, we have a variety of techniques for each program to accommodate each lifestyle and level of substance abuse. One of these programs is our Executive Drug Rehab Treatment Program. The Executive Drug Treatment Rehab Program is a program of ours that is particularly tailored to accommodate professionals and is an extremely popular choice amongst our wealthier and busier guests. In these rehab programs, we usually accommodate to an older crowd that may be ashamed of their addiction because of their very high social rank. This is an extremely common and very specific niche environment in which we specialize in, something that most other rehab facilities don’t even offer. One may wonder how an addict could be an executive of a law firm or corporation, but there is a massive population of functioning addicts, especially in the professional world. We can cooperate with executives or professionals who have substance abuse problems by working with their schedules as well as understanding that you have a job to do outside of getting better. We don’t just want to want to help our professionals get better through this program, we also want their families to be healed. That is why we encourage those who admit themselves in the Executive Drug Rehab Program to follow up with our Family Program. For many people, the family life becomes a trigger – a distraction from their drug of choice as well as a catalyst which sets off their addiction to the point where they feel like they need to take a break from work for their own health benefit. Many times, family is also the cure. We can help these types of addicts as well and with our team of specialists we can determine what type of addictive personality you have and what the best program is. More often than not, our professionals or executives lose touch with their loved ones as a consequence of their business and this can be a major factor in getting better, something that we can help with as well. 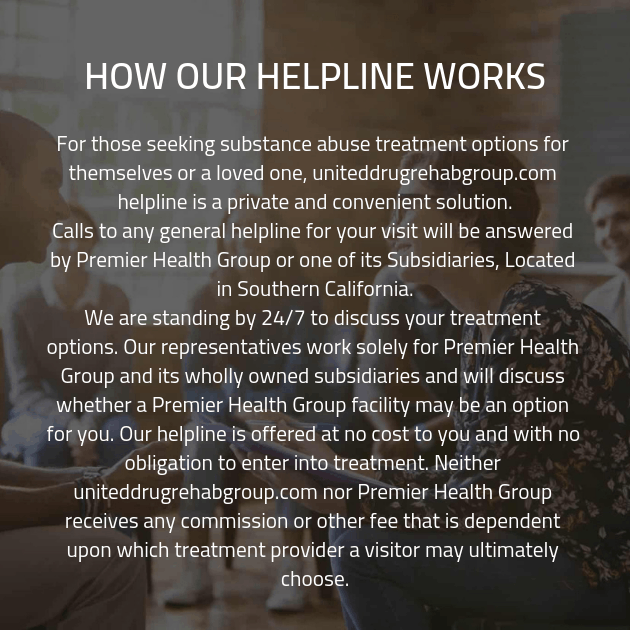 Before deciding what program you want to choose, it’s best to contact United Drug Rehab Group.